Today, we left Minneapolis around 9AM, and started on the long trip home! 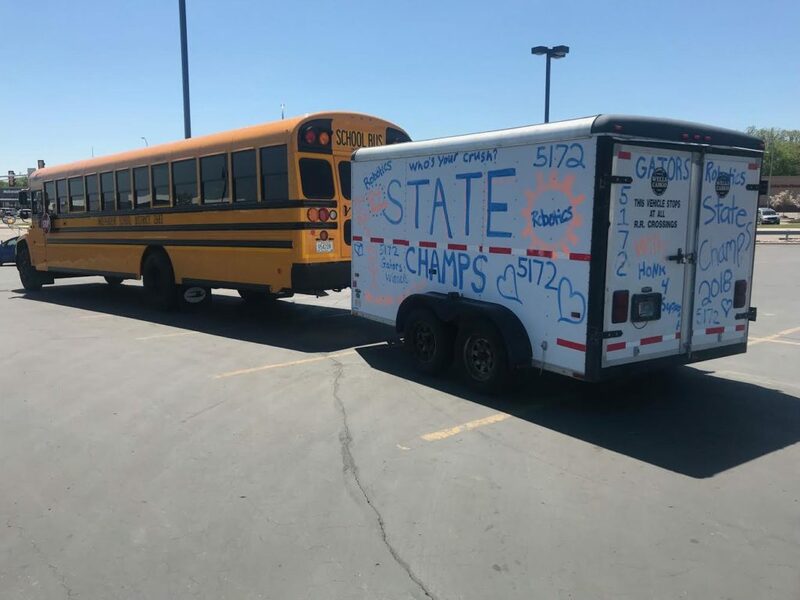 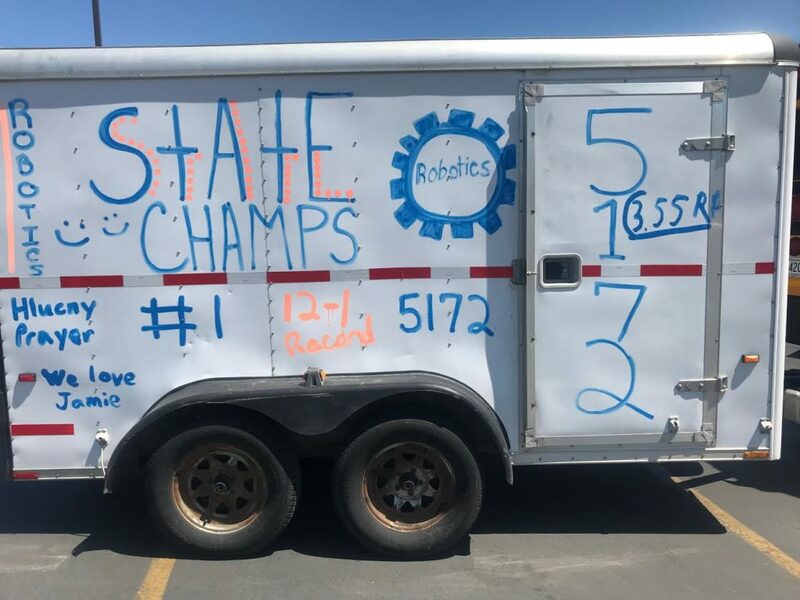 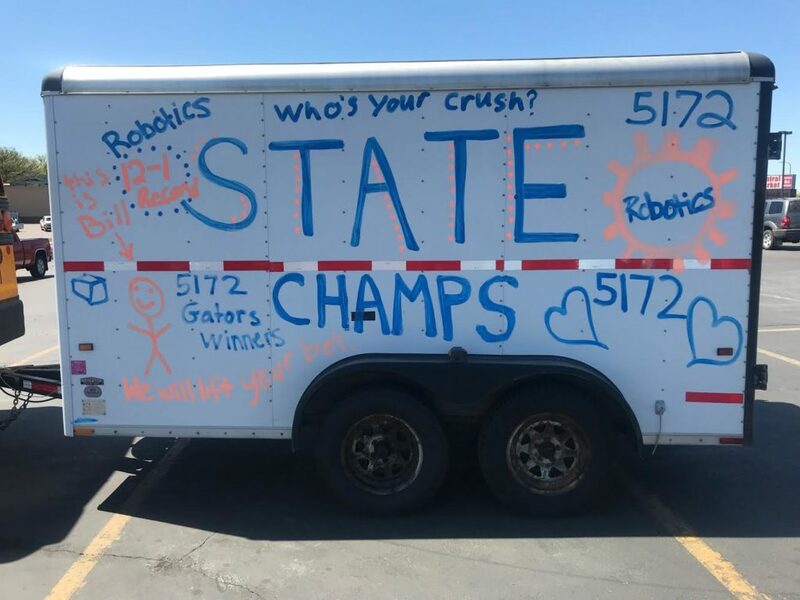 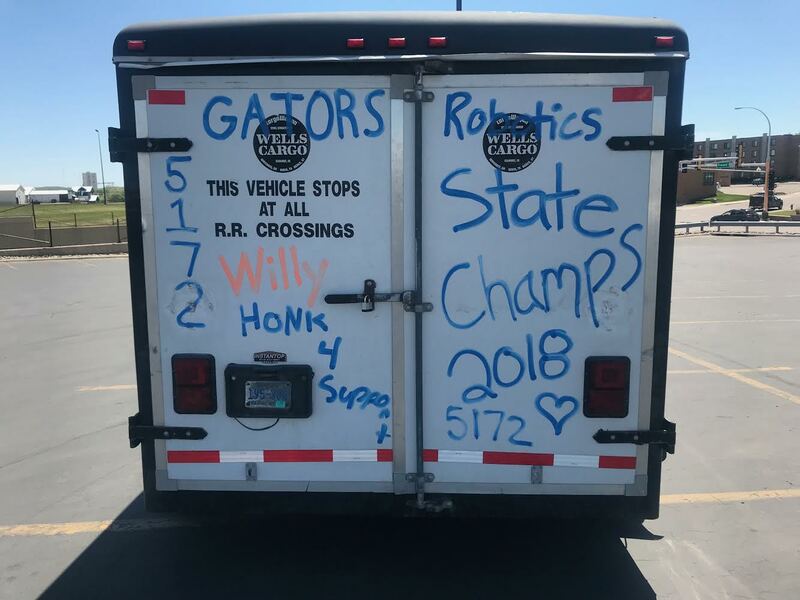 A couple hours into the trip we stopped to decorate our trailer as the State Robotics Champions! 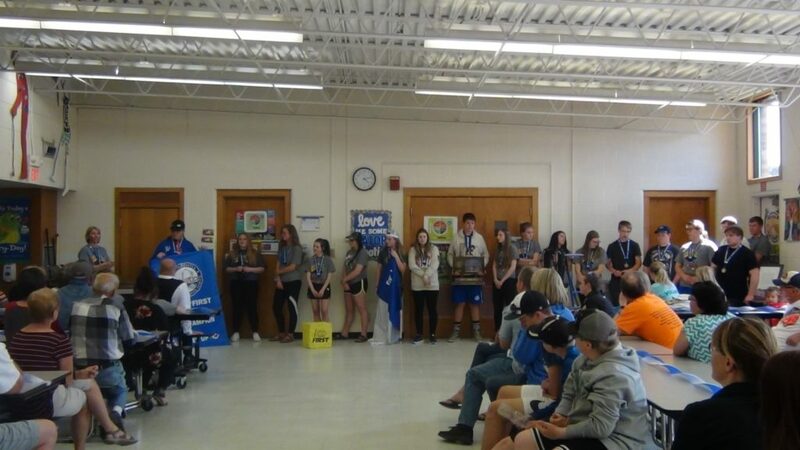 We then made our customary stop at the Central Market grocery store in Detroit Lakes for lunch. 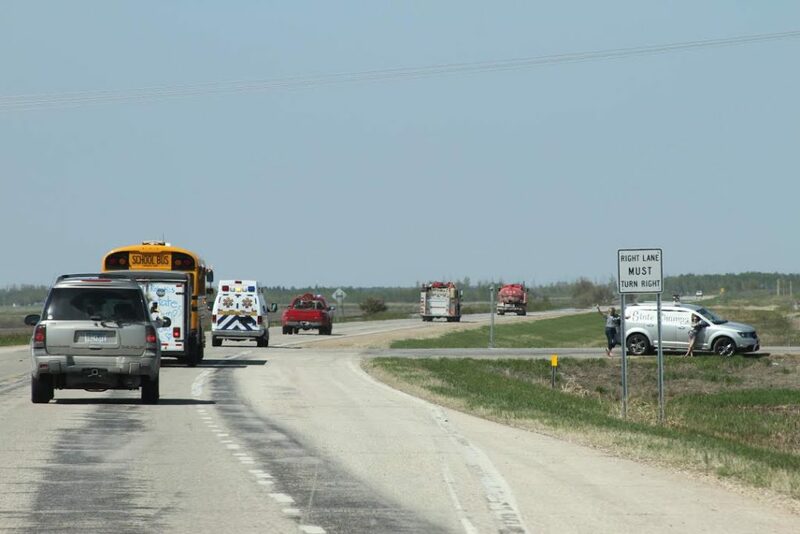 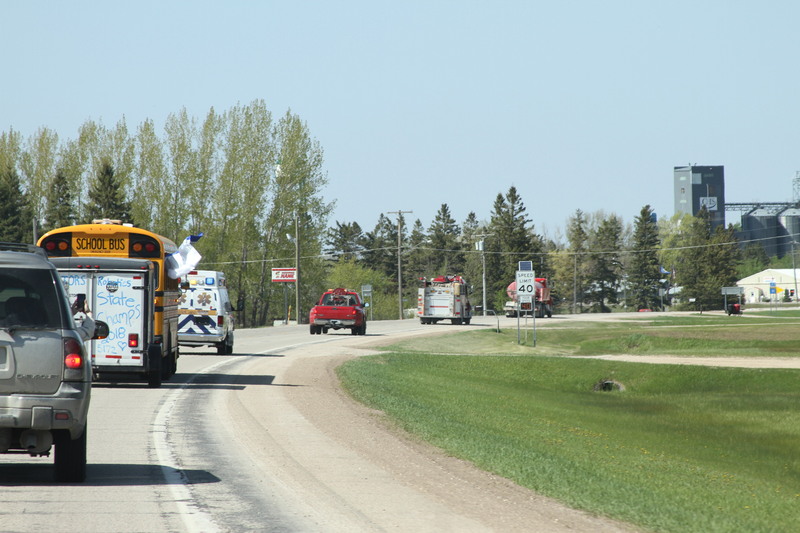 After spending hours on the road, as we were nearing our home town, we were greeted at Strathcona by three fire trucks and an ambulance that escorted us into Greenbush. 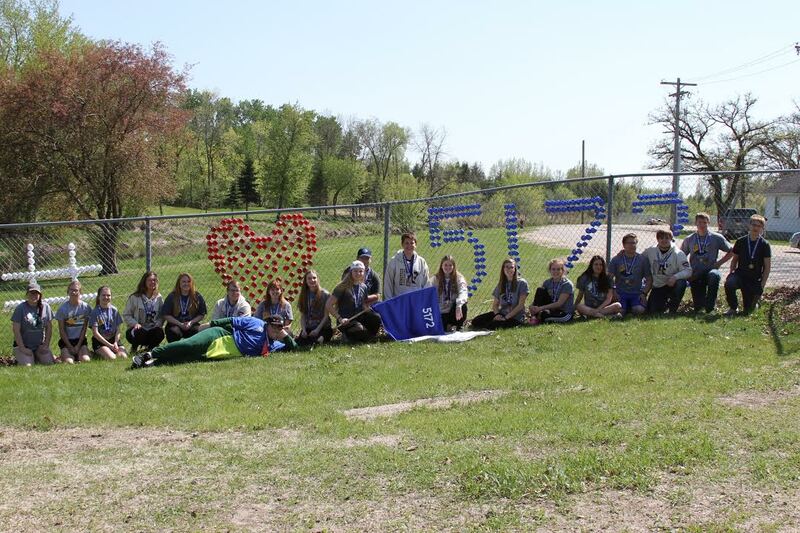 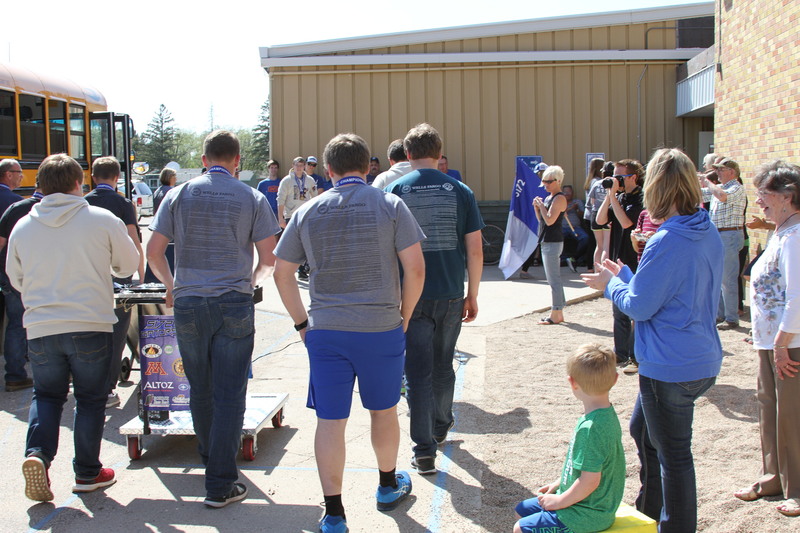 Upon arriving at the Greenbush-Middle River School, we were welcomed home by dozens of fans that had eagerly awaited our arrival in the hot, muggy weather. 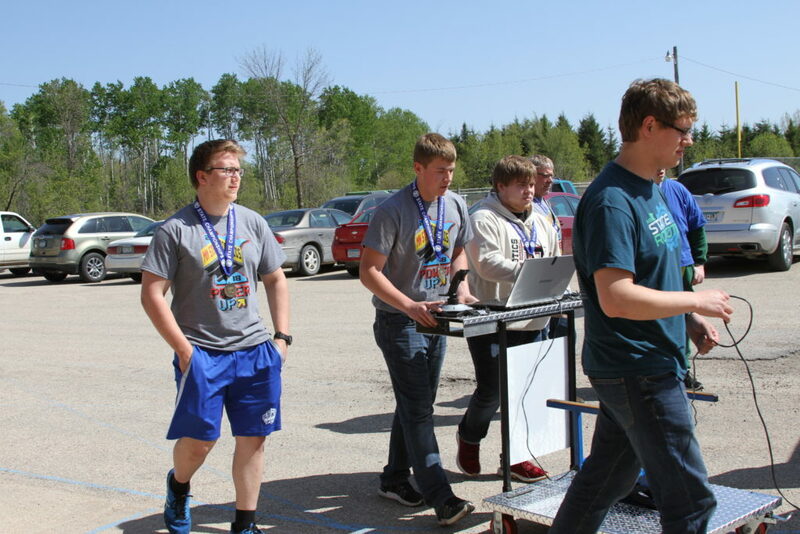 Our drivers booted up the robot and drove it into the school cafeteria, making one final victory lap. 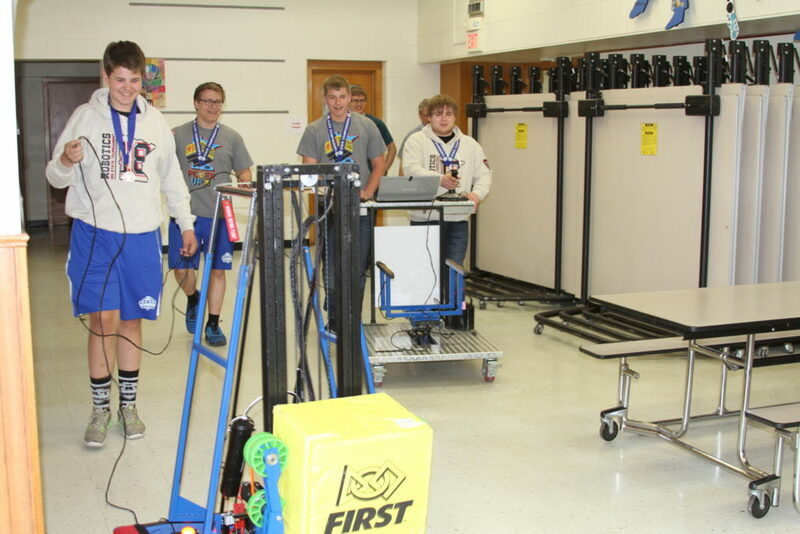 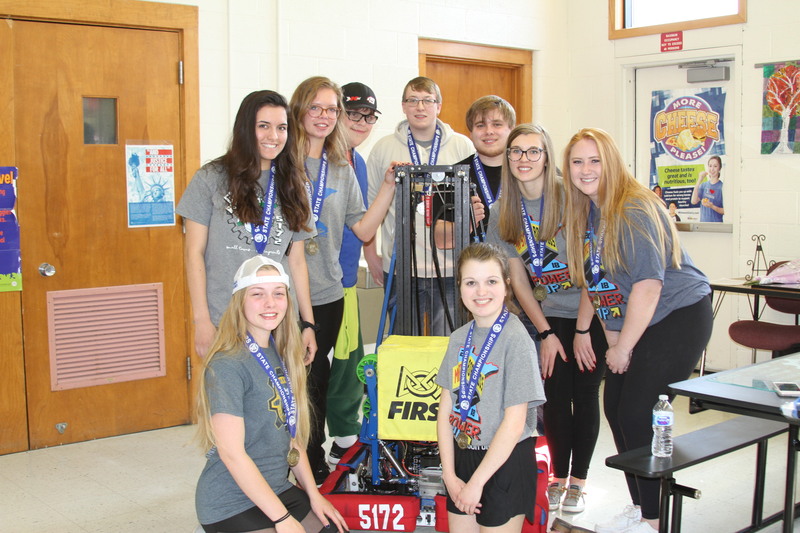 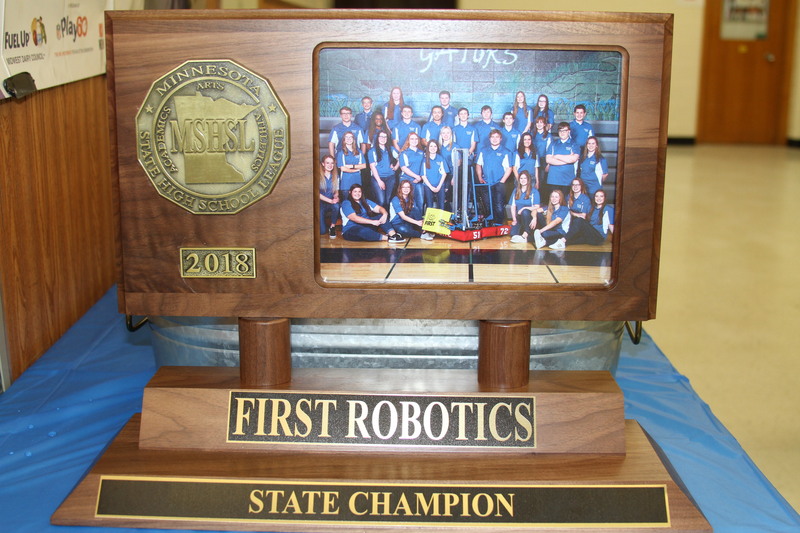 The seniors were highlighted as they gave emotional farewell speeches, reflecting on their time in robotics and how the program changed their lives. 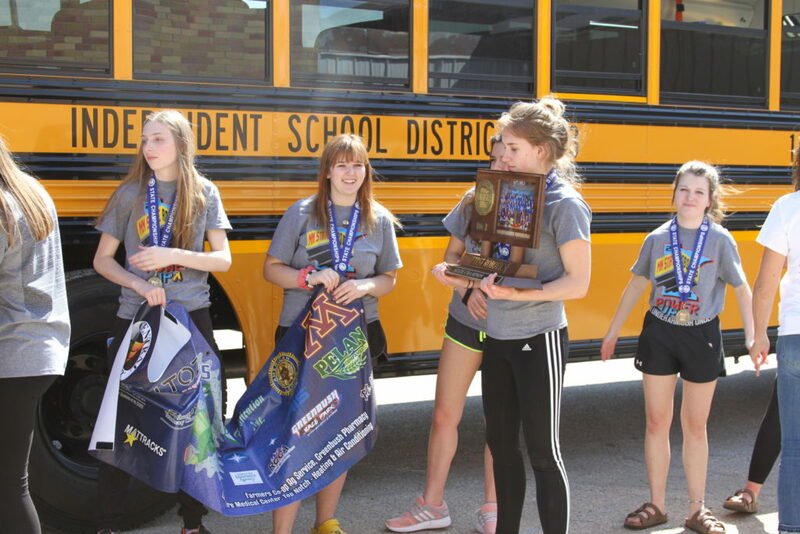 And thus, another successful season came to a close.